Australia's ambitious 2020 industry and infrastructure goals could be unattainable if we don’t address a growing shortage of surveyors and geospatial professionals, according to a new report by BIS Shrapnel. ACSV through Consulting Surveyors National fully supports & is a sponsor of the Transit of Venus project. Members are encouraged to consider being a ‘school visitor’ as it suggests below. This June, the planet Venus will pass between Earth and the Sun appearing as a small black disc slowly moving across it. The Transit of Venus is not only a rare astronomical event, but a rare opportunity to generate some meaningful awareness of Surveying and Spatial Science. Join our PR campaign today. A new website www.transitofvenus.com.au has just been launched to help engage students and the public with a range of resources. 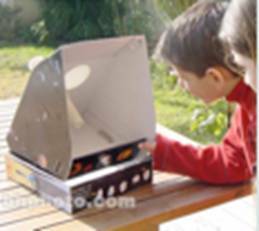 Schools have the opportunity to purchase or win 1 of 100 SolarScopes, so students can observe the Transit safely. Orders close on 15 March to secure timely shipment. Let’s take advantage of this opportunity to reach as many students as possible and increase our public profile. Tell your child’s/grandchild’s teacher, friends, colleagues. provide career information about Surveying and Spatial Science. Love Surveying & Spatial Science? Become an advocate and join on our team of volunteers. We need and appreciate your help in making this program a success locally. This project is developed and sponsored by a range of national and state based Industry Associations and private entities. We thank all for their support.